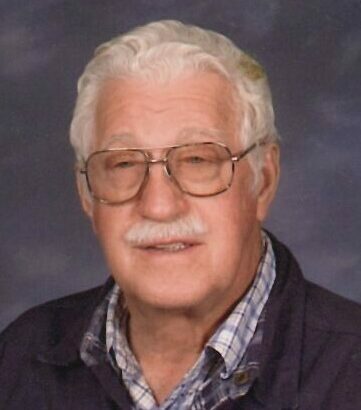 Dennis Glynn Schroeder, 84, Rockford, IL, formerly Gillett, died unexpectedly on Thursday, March 14, 2019. Dennis was born in Underhill on July 22, 1934, a son of the late Glynn W. and Ruth (Vorpahl) Schroeder. He attended area schools, and moved to Rockford, IL as a young man before being drafted into the US Army during the Korean Conflict. Dennis proudly served for two years before receiving an honorable discharge. After his military service, Dennis returned to Rockford where he enjoyed a long and rewarding career as an operating engineer for Sjostrom & Sons Construction. Dennis was very gifted when it came to fixing things and understanding how they worked. He was a member of Operating Engineers, Local #150 union for over 50 years. Following his father’s passing, Dennis took over his families homestead in Underhill. He was an avid collector of cars, tractors and other farm equipment and made regular trips and visits back home throughout his lifetime. Dennis is survived by his siblings: Lenore M. Robertson of Costa Mesa, CA, Iris D. Schroeder of Rockford, IL, Judith M. Pecore of Oshkosh and Stephen R. (Debbie) Schroeder. He also leaves his dear friends, whom he regarded as family, Merrill (Sheila) Mihm of Rockford and their children: CJ (Sarah) Shelley (Drew) and Matthew. Dennis is further survived by many nieces and nephews, great nieces and great nephews as well as many friends. He was preceded in death by his parents; his daughter Diana Schroeder; his brother, PFC Maynard R. Schroeder and his sister Holly Tucker. Friends and relatives may call on the family on Sunday, March 24, 2019 from 4 to 7 PM at LEGACY FUNERAL CHAPELS (108 E. Main Street, Gillett, WI 54124). Visitation continues Monday, March 25, 2019 from 9:30 to 10:45 AM at CHRIST LUTHERAN CHURCH-HINTZ (6905 Red Banks Road, Gillett, WI 54124). A funeral service will be held at 11 AM with Pastor Michael Paholke officiating. Interment will be in the church cemetery. Sorry to hear of your loss. Dennis was such a friendly guy, always ready to talk and spend time with friends. knew dennis through local 150 operating engineers, good freind my condolences to his family. Just heard the news. Sorry for your loss, Dennis was always a friendly guy.